A few days ago The IPKat reported details of the hearing at the UK Supreme Court in the Cartier case. As readers know, this round focuses on allocation of costs of injunctions. In particular: should intermediaries bear the implementation costs or even any costs at all? While awaiting the outcome of this case, this blog is happy to post the review that Sir Richard Arnold [who was also the judge in the High Court round of the Cartier litigation - here and here] has produced of Martin Husovec's Injunctions against Intermediaries in the European Union: Accountable But Not Liable? (Cambridge University Press) for the Journal of Intellectual Property Law & Practice (Oxford University Press). “On 22 May 2001 the European Parliament and Council adopted the Information Society Directive, Article 8(3) of which required Member States to ‘ensure that rightholders are in a position to apply for an injunction against intermediaries whose services are used to by a third party to infringe a copyright or related right’. On 29 April 2004 the European Parliament and Council adopted the Enforcement Directive, and the third sentence of Article 11 thereof extended Article 8(3) of the Information Society Directive to any intellectual property right. To begin with, these provisions attracted relatively attention from lawyers, courts or academics. Since about 2010, however, the position has been transformed and they are now the subject of a growing case law across Europe and a burgeoning academic literature. The pace of development has been such that even books published in 2010 are now completely out of date. In the last 18 months, however, there have been four major English-language contributions to the field: Jaani Riordan’s The Liability of Internet Intermediaries, Christina Angelopoulos’ European Intermediary Liability in Copyright: a Tort-Based Analysis, Graeme Dinwoodie’s edited collection Secondary Liability of Internet Service Providers and now Martin Husovec’s book. Dr Husovec comes to the matter with three important advantages. First, he has assimilated and built on the work of his predecessors over the course of a decade’s study of the subject. 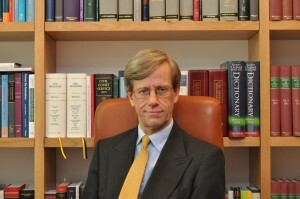 Secondly, as a Slovak-born scholar who studied for his doctorate at the Max Planck Institute in Munich, who now has an academic position at Tilburg University in the Netherlands and who mainly writes in English, he has been able to adopt a genuinely European approach grounded in a close study of the case law from across Europe and the global academic literature. Thirdly, his book is very up to date, citing decisions up to 30 March 2017. Despite the impressive breadth and depth of his learning, Husovec has produced a concise and insightful analysis which is essential reading for those interested in the topic. It is therefore unfortunate in that, in two respects, CUP has not adhered to its normally high standards in producing the book. First, and rather extraordinarily, the book carries an interesting foreword whose author is not identified, although the content of the foreword indicates that he is an Advocate General at the Court of Justice of the European Union. Only if one reads to the end of Husovec’s acknowledgments does one discover that the author of the foreword is none other than Maciej Szpunar, who has already made a substantial contribution to the law in opinions such as that in the Pirate Bay case. Secondly, the book contains ‘tables’ of legislation and cases which are not in fact tables, since they are simply lists which are not cross-referenced to the text, which reduces the usefulness of the book. Husovec begins by introducing readers to the problems explored in the book, exemplified by the first application in the English courts against an internet service provider (‘ISP’) requiring it to try to block access by its subscribers to a copyright-infringing website, the decision of the Bundesgerichtshof (German Federal Court of Justice) (subsequently endorsed by the CJEU in the McFadden case) to require providers of WiFi networks to implement password-locking and the graduated-response schemes introduced either by legislation or by court order in France, Ireland and Spain. This leads on to an important exercise in definition. As Husovec explains, the significance of Article 8(3) of Information Society Directive and Article 11 of the Enforcement Directive is that they require courts to be able to grant injunctions against intermediaries which are ‘innocent third parties’. A ‘third party’ for this purpose is a party other than a party which itself commits an act which infringes an intellectual property right, while ‘innocent’ simply means that the third party is not liable in tort even as an accessory. This remedy makes such intermediaries accountable, in that they can be ordered to take steps to assist rightholders in combatting infringement, but not liable for any form of financial remedy for past conduct. As Husovec admits, his use of the terms ‘accountable’ and ‘liable’ is somewhat rhetorical, in that one can perfectly well speak of intermediaries being liable under these provisions. Nevertheless, the distinction he makes is a crucial one for a number of reasons. Among these are that the provisions make it unnecessary to establish that intermediaries have behaved tortiously, that they enable courts to make orders which, because they are purely prospective, are tailored to the situation at hand and that the orders can more easily be fine-tuned in the light of experience. Husovec then turns to an economic analysis of enforcement, which provides the normative foundation for much of the subsequent commentary. This is skilfully done but, as he explains, the exercise is not straightforward. He distinguishes between the costs to the rightholders of evidence gathering, applying to the court for orders and monitoring the orders once granted (C1), the direct (by which I think he means incremental) costs of the intermediaries in implementing orders (C2), the costs of the state in providing the court (C3) and the cost to society if legitimate activities are blocked (C4). As he says, it is necessary to take account not only of static costs, but also dynamic costs, which is particularly relevant for C4. He proposes that enforcement is most efficient from an economic point of view if the rightholders are required to pay at least C1, C2 and C3, because then rightholders will only apply for orders if the benefits to them exceed those costs, although he cautions that this risks C4 not being fully accounted for. Husovec appears to assume a civil litigation system in which C3 is fully recovered from litigants through court fees (as in the English system), but this is a minor point. More problematic, as he recognizes but does not I think fully allow for, is the analysis of C2. An important determinant of C2 is whether the intermediary already has the necessary infrastructure (hardware and software) at the time the order is made. If the intermediary does not, why should the first applicant bear costs which subsequent applicants will be benefit from? The same goes for upgrades and improvements to the infrastructure. Even if one supposes that the intermediary already has the necessary infrastructure, and so no capital cost is involved, the calculation of incremental running costs is not in practice as straightforward as economic theory suggests, as experience from accounts of profits shows. Leaving aside the difficulty of quantification, which it may be said does not affect the principle, as Husovec recognizes, requiring intermediaries to pay the incremental costs of implementation gives them an incentive to be efficient, to innovate and to co-operate with rightholders in order to keep costs down. A different problem with the analysis is that it assumes that the benefits of such injunctions accrue solely to rightholders (and those who stand behind them) and ignores the potential wider societal benefits. Finally, Husovec notes that other systems, such as the Canadian notice-and-notice system, involve costs being shared between rightholders and intermediaries, but does not mention that this is also true of notice-and-take-down under the US Digital Millennium Copyright Act. In the second section of the book, Husovec outlines the European legal framework, looking at the travaux préparatoires for the relevant legislation and at the wider liability framework. Here he explains the importance of the relation between the Information Society Directive and the safe harbours established by the E-Commerce Directive.11 He also emphasizes, both here and elsewhere, the significance of the fact that, although primary liability for intellectual property infringement is partially harmonized and intermediary accountability is substantially harmonized, accessory liability is not harmonized at all. As he explains, this has led to the CJEU filling the gap by importing elements of accessory liability into both primary liability (in particular, with respect to communication to the public of copyright works) and intermediary accountability. In the third section of the book, Husovec considers injunctions against intermediaries in more detail. First, he deals with orders for the disclosure of third-party information, which is a closely related remedy. In this context, he detects a shift in the CJEU’s approach between the Promusicae case and the Coty Germany case. Secondly, he explores the (threshold) conditions for the grant of injunctions under European law and the way in which the provisions have been implemented in national law. An interesting, and potentially significant, point he makes here is that, although recital (59) of the Information Society Directive states that the ‘conditions and modalities relating to such injunctions should be left to the national law of the Member States’, this can be interpreted in two ways: first, as leaving such matters entirely to national law, and secondly, as meaning merely that Member States should do what is necessary to implement such injunctions in their national systems. As he observes, the second interpretation may perhaps be supported by the doctrine of effect utile. Thirdly, he looks at the scope of such injunctions. Lastly, he considers the limits on such injunctions derived from human rights law, Article 3 of the Enforcement Directive and Articles 12–15 of the E-Commerce Directive, and in particular the key requirement of proportionality. In this chapter, consistently with the economic analysis in Chapter 2, he argues in favour of imposing the incremental costs of compliance with orders on rightholders. Husovec opines that EU law does not prevent this, but nevertheless appears not to regard this as acte clair. Indeed, he suggests that orders which allowed intermediaries arbitrarily to inflate the implementation costs borne by rightholders could violate Article 3 of the Enforcement Directive and Article 47(1) of the EU Charter of Fundamental Freedoms. In the fourth section of the book, Husovec undertakes a detailed study of the case law on the grant of injunctions against intermediaries in a civil law country (Germany) and a common law country (England), bringing out both similarities and differences. Chapter 9 on Germany is a particularly valuable chapter for the English-speaking audience, because it contains a detailed and authoritative discussion of the development and application in this context of the doctrine of Störerhaftung under paragraph 1004 of the Bürgerliches Gesetzbuch (German Civil Code). This is important for two related reasons in particular. The first is that, conceptually, Störerhaftung is the closest thing in the laws of the Member States to the accountability regime established by the Directives.15 Secondly, it sheds light on the concept of ‘innocence’ in this context. As Husovec explains, Störerhaftung is historically and conceptually distinct from tortious liability, not least because it does not include liability for damages, although in recent years the distinction between the two has been blurred. In his review of the English law case law, Husovec returns once again to the question of the allocation of the costs of implementing such injunctions. As noted above, he favours imposing such costs on rightholders. Apart from the economic analysis, his main argument is that intermediaries are ‘innocent’ in the sense explained above and therefore should be reimbursed for the costs of compliance in the same way as respondents to Norwich Pharmacal orders. As he recognizes, however, intermediaries in Germany against whom applications for injunctions based on Störerhaftung are brought are equally ‘innocent’ in this sense. In McFadden, the CJEU held that such intermediaries can be ordered to bear not merely the implementation costs, but also the rightholders’ costs of giving formal notice and court costs. If recital (59) is interpreted in the first sense discussed above, such a divergence in outcome would not be inconsistent with Union law, but the question is more debatable if it is read in the second sense.